The Blog Where 'O Death is Thy Victory? Where ‘O Death is Thy Victory? In keeping with the moral obligation to embellish a good story. Life is ironic. Some peoples’ “fate” as it were, is determined at a very young age. We recall Billy Jean King’s chubby little legs, taut little racquet, and determined little face when she first stormed the Country at the Junior-Infant Tennis Sippy-Cup Tournament. Her little swing, her little step, even her little foot faults, all foreshadowed a certain greatness. Simply put, her destiny was sealed. In fact, it was at a very early age that I experienced Death and knew I wasn’t destined for the greatness of pet sitting. Even though my mom was the first professional pet sitter, blazing the trail long before anyone had ever thought of the idea, I knew such greatness wasn’t for me. You see, I had experienced the death of Sitsy and knew, from that moment on, that I would not follow in my mother’s footsteps. Of course, I blame the whole trauma on my dad, as all healthy children experiencing similar horrors and psychotherapy should. Let me explain. 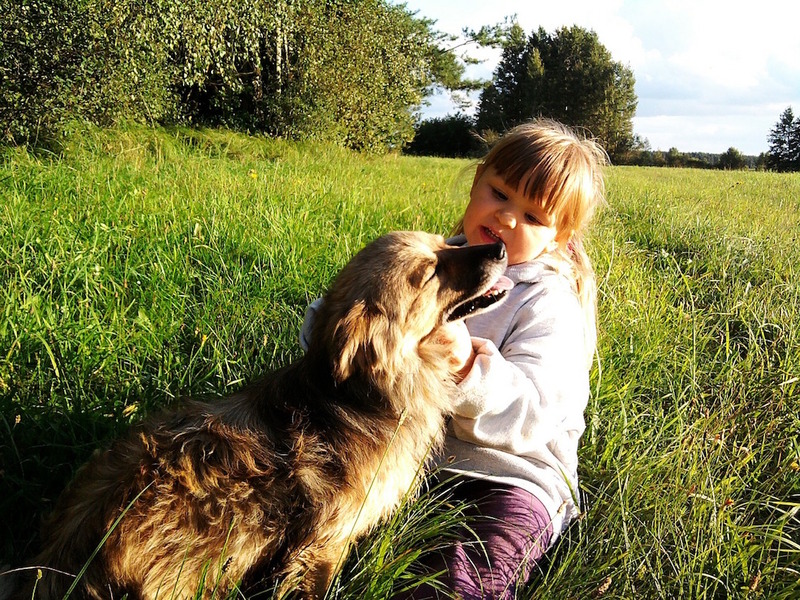 As a little girl, my very first memory of having a pet was when my grandmother moved in with us due to heart trouble. My mom got her a dog for her birthday. She was red and soft and grandma named her Sitsy. Although she wasn’t mine, Sitsy and I became fast friends. We had many adventures together out in the field behind our house. We played in the garden, ran around our back field and told each other our innermost thoughts. We even hid in cupboards to jump out and scare grandma. I had called the one word, if called out in the correct sing-song voice, that always overcame her deafness: “TREAT” I sang out. I waited with anticipation for her to hop up. No movement. “Sitsy, treat,” I called, waving it in the air like a magic wand. Again, nothing. “Sitsy?” I called as I went to her side. “Oh Sitsy! No,” I cried. By that time everyone was there. My dad asked me and my brothers to move so he could have a closer look. My mom hugged me to her side. Dad knelt down and called to her, gently shaking her little body. He then shook her more forcefully and yelled “Sitsy!” Nothing. He ran his hand down her leg feeling for a pulse. My dad’s head bowed a bit and he took a deep breath before turning around. “Guys, I’m afraid Sitsy went to heaven to be with Grandma.” Me and my brothers all started crying. We had become so close. Sitsy was one of us. How could she suddenly be gone? My dad put on his winter coat, boots and gloves. We overheard him telling mom he was going to get a shovel and go dig a whole in the garden where she used to play. The ground was frozen, he may have to use a pick. We all took turns holding Sitsy and crying. We stroked her and told her how much we loved her. We got her favorite blanket and laid her on it, placing her favorite toy between her front paws, and we moved her back into her sunny spot. My dad came in after a rather long spell. He looked grim, and his pant legs were wet and dirty with freshly turned earth and snow. He summoned us all out to the garden to show us the hole. He told us to all think of something kind to say about Sitsy so that we’d be ready when we went back in to get her. I stood looking down at that cold hole and just couldn’t imagine Sitsy in it. “Dad, can we wrap Sitsy in her blanket so she won’t get cold?” I asked. “Yes Sweet Pea. Do you think she’ll need anything else?” he asked. “She would want her toys,” I said. “And her bone,” my brother said. He squeezed my hand and waited a pace. “Okay…should we go get her now? It’s starting to snow,” he said. The trek back inside was the longest walk I’d ever taken. Thoughts of Sitsy were flooding me with a sorrow that came out in a steady stream of hot teardrops. When we got inside Sitsy was sitting in the middle of the kitchen floor. She yawned, stood up to scratch her ear, stretched, then walked over to me and sniffed the shovel I’d absent-mindedly carried in. She fixed me with an accusatory stare, turned away and went and sat beside my dad. And that’s when I knew I would never be a pet sitter. Life is so ironic.